Please note that the content of this book primarily consists of articles available from Wikipedia or other free sources online. 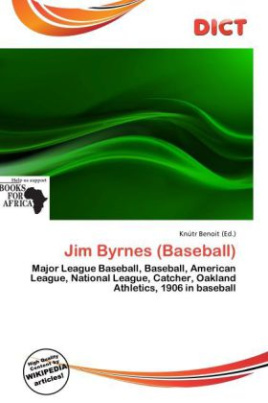 James Joseph Byrnes (1880-1941) was an American Major League Baseball catcher. He played for the Philadelphia Athletics during the 1906 season. Major League Baseball (MLB) is the highest level of professional baseball in the United States and Canada, consisting of teams that play in the National League and the American League. The two leagues merged in 2000 into a single MLB organization led by the Commissioner of Baseball after 100 years as separate legal entities.